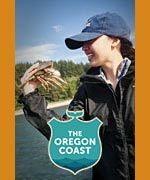 (Manzanita, Oregon) – Don't be surprised if you find a surprise on the beaches this week. 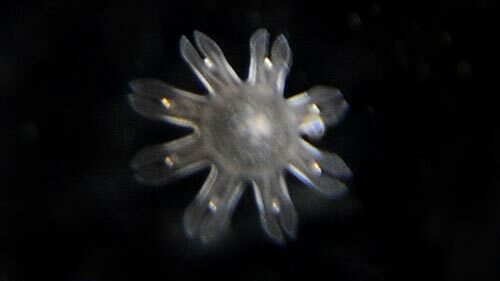 (Above photo: a gooseberry jellyfish, courtesy Seaside Aquarium). 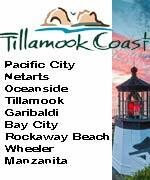 After Tuesday's storm is done, Wednesday and especially Thursday and Friday will have prime conditions for beachcombing. 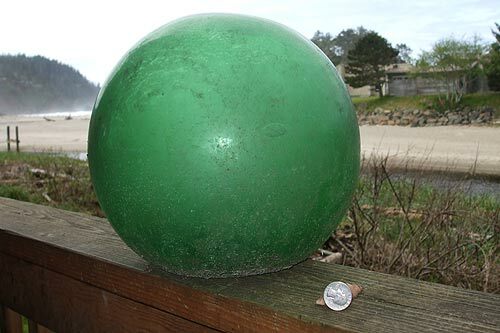 With west winds being its primary component, this usually causes a plethora of interesting objects and oddities to show up along the Oregon coast, say experts. With the weather getting sunny on the coast, starting Thursday, wandering the sands will be even more inviting. 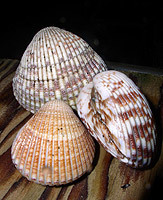 Among the possibilities: wacky sea shells, cockles, infant sea life, rope with living creatures encrusted on it, crab buoys, hermit crabs, moon snail shells and somewhat rare rock finds. You may spot a brownish mass of wood and grassy matter from afar, but up close is a small treasure chest of natural oddities. Keith Chandler, manager of the Seaside Aquarium, said you should always keeps an eye on the beaches after storms. “If you see a patch of dark brown on the beach, go look through it because you’ll find some cool stuff,” Chandler said. 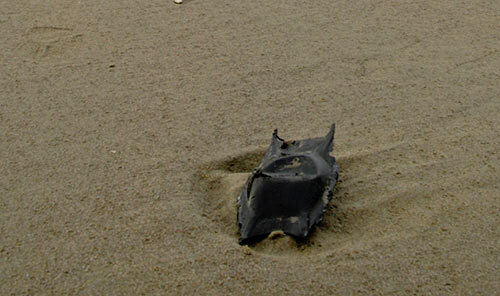 Other objects become home to various sea creatures, especially if they've been floating out in the ocean for awhile. 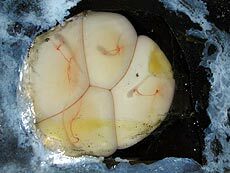 Periodically, the Seaside Aquarium has either found or been given live squid eggs or skate eggs, and these have hatched in their tanks. They often don't live for long, but many skates that have hatched there do. Other fascinating finds that can hit the beaches in spring are Purple Sails, otherwise known as velella velella. These tend to hit a bit later in spring, however, if they do. 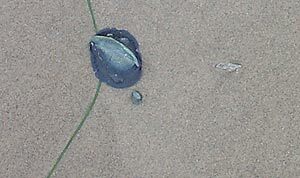 Gooseberry jellyfish may also be present after storms in spring. These are tiny, dime-sized critters that are translucent. 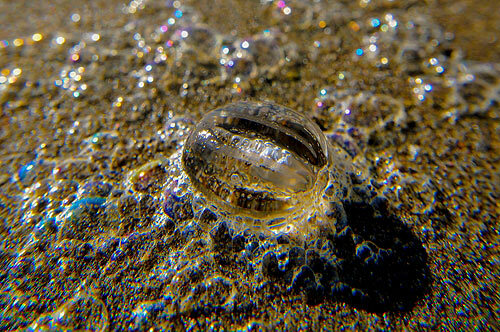 In fact, they are so small and see-through they look more like bubbles in the sand. It's easy to overlook them. Among the most prized find, however, could be an original Japanese glass float. They are extremely rare, but your chances of finding this bit of beach history increase just a bit after a spurt of heavy west winds. On the sadder spectrum of beach finds, you could run into more tsunami debris from the big quake in Japan in 2011. Sometimes jellyfish are found alive on the beach, then transferred to Seaside Aquarium, where they survive.